If you’re ready to open a bank account or switch banks, there’s probably a big question looming over your head: “What do you need to open a bank account?” After all, opening a bank account is a process and you want to prepare and have things ready. Right? So, here’s the lowdown on what you need to open a bank account. First things first. You want to know what kind of bank account you want. Do you want a checking account to pay your bills? Or are you looking for a savings account to pocket your coins? All of these things can make it easier to find the right bank for you. What kind of bank do you want to work with? Secondly, you’ll want to figure out what bank you actually want to do business with. A bank is a financial institution responsible for housing your money. You want to make sure your values align with your bank and that you’re not getting nickeled and dimed for everything. Do your research and search for free checking account banks that don’t hit you with monthly fees or unnecessary charges. 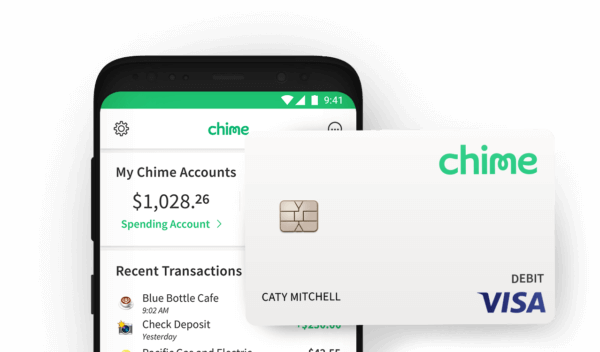 A good option can be an online bank account, like Chime, where there are no fees and you can open a checking account online instantly. Before deciding on a bank, make sure to read the fine print and understand any fees, as well as the terms and conditions. This way you’ll avoid any surprises later on. After you’ve figured out what type of bank account you want and chosen the bank you want to work with, it’s time to actually open an account! But what do you need to open a bank account? And if you’re applying in-person, you might wonder what to bring to open a bank account. While many banks have different requirements, they often need the same information. All banks, for example, require that you are at least 18 years old. In order to open a bank account or online bank account, you’ll likely need a government-issued I.D. like a passport or driver’s license. You will need a social security number to open a bank account, so bring your social security card with you or have it handy if you’re applying for an online bank account. Now that you know you’ll need an I.D. to open a bank account, you may wonder, “Do I need proof of address to open a bank account?” This may be an important question if you’re in the middle of moving or don’t have a full-time residence. The answer is yes. You will need to have a utility bill, lease or billing statement on hand to have proof of address to open a bank account. If you want to open a checking account online instantly, you will want to apply for an online bank account and download their mobile app. If you’re wondering how to open a bank account online, it’s pretty simple and can be done from the comfort of your own home! Simply go to the site or app of the online bank account, fill out the application, and then provide your personal information and verification. Once you apply for a traditional bank account or an online bank account, you’ll want to deposit money to fund your account. If you’re worried about how much money you need to open a bank account, consider an online bank account like Chime that has no fees and no requirements for minimum balances. If you’re ready to open a bank account at a traditional bank or apply for an online bank account, you’ll want to know what to bring to open a bank account. Using this guide, you can be prepared and open a bank account today.